Shower Enclosures to suit every style and budget. 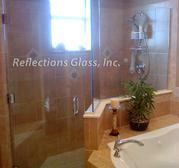 All our shower enclosures are custom made to every customers specific requirements and installed with care and pride. 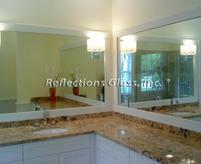 ​Our mirror work includes Vanity mirrors, Wet Bars, Mirror Walls, Mirrored Table Tops and much more. 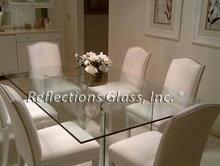 Custom table tops can be made to any shape and size and are available in many different thicknesses. 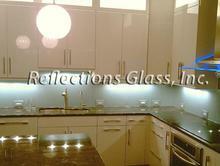 Custom Painted Glass for Countertops, Backsplashes and Shower Enclosures add a beautiful high end finish to any project. Select your own color and we will match it!